Mull - Aqua, Roman Blind. A classic design that will add a touch of timeless elegance to any room. 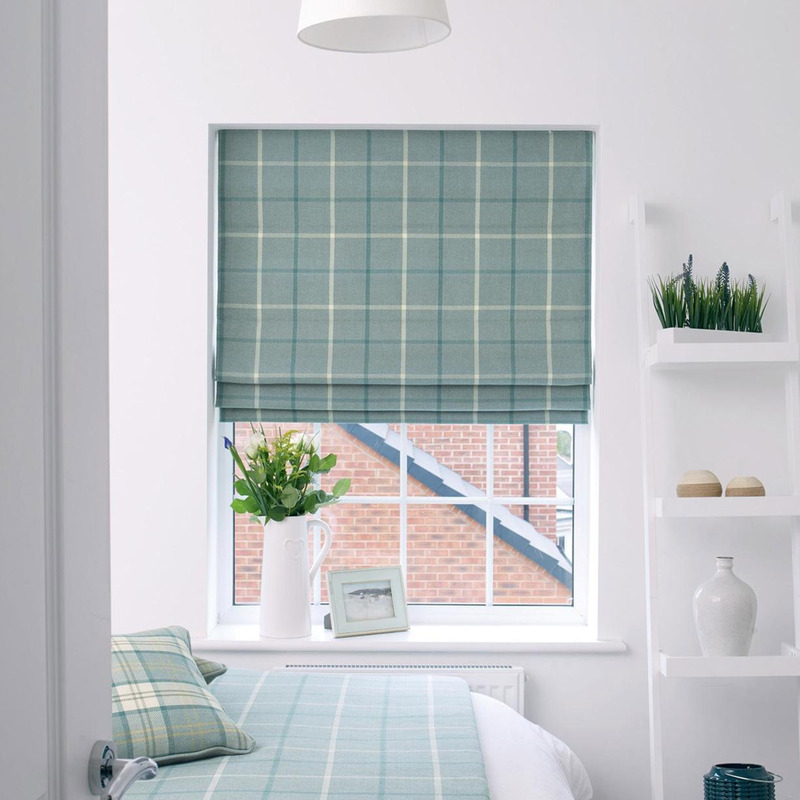 Our Mull - Aqua fabric co-ordinates beautifully with smaller checks and plains.